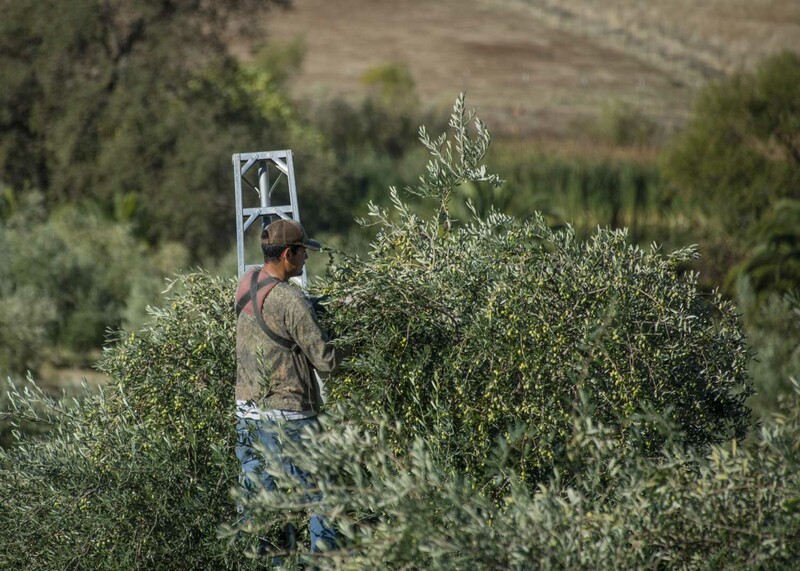 A new research study from Namık Kemal University in Turkey concluded that hand harvesting results in higher quality olive oil. We have known this since we started but it is nice to get scientific confirmation. They studied six different harvesting methods including the popular pole beating method. The pole beating method is often called hand harvesting but it really is not. This method is very common in our area. 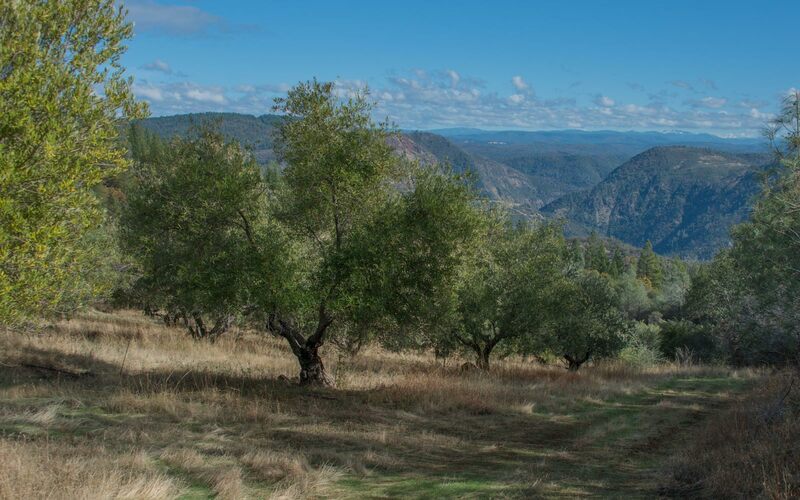 It is where you spread mats on the ground and beat the trees with a pole and the olives fall to the mats and then the olives are collected. 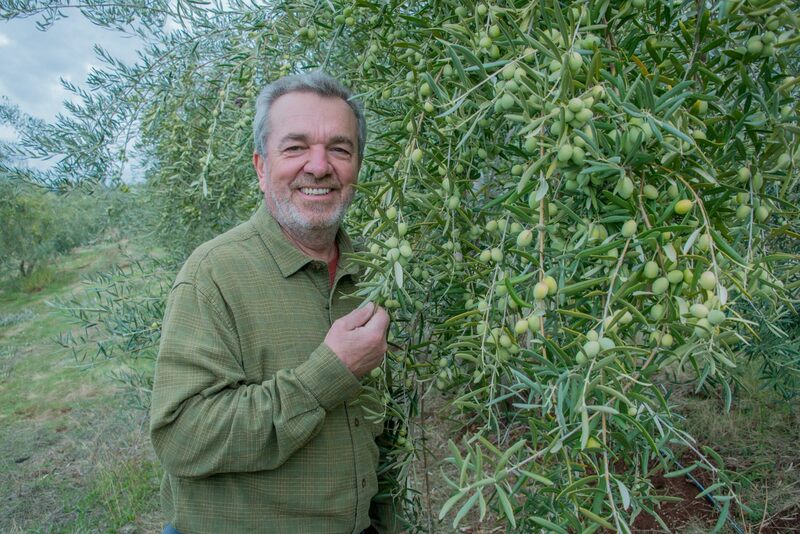 The only true hand harvesting method is when you pick the olives off the trees by hand and place them in a belly bucket. This is more laborious, and the pickers charge a lot more for this kind of picking but we feel very strongly this is the only way to go. 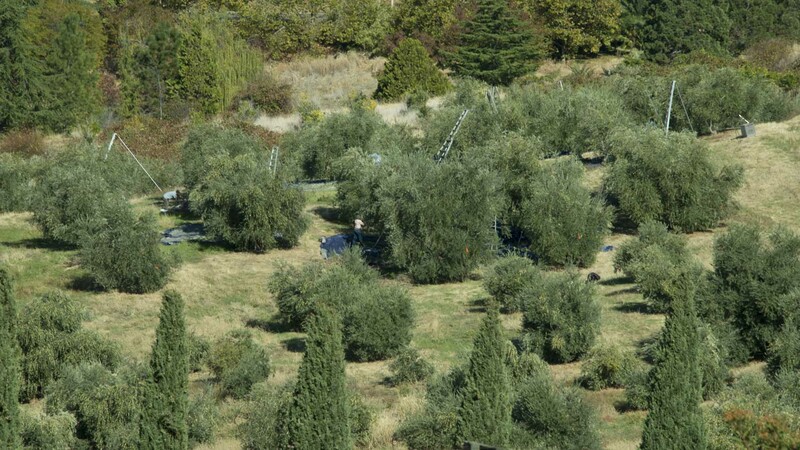 The researchers concluded that the mechanized methods of picking including the pole beating method bruise the olives and prematurely begin the process of oxidation. This also agrees with all our experimentation. Oddly, the researchers feel that this explanation may be an over simplification and more research is needed. However, the conclusion for us is self-evident, more care in every step of the process produces the highest quality. Read more about the study at the Olive Oil TImes. And the Gold medals keep coming! 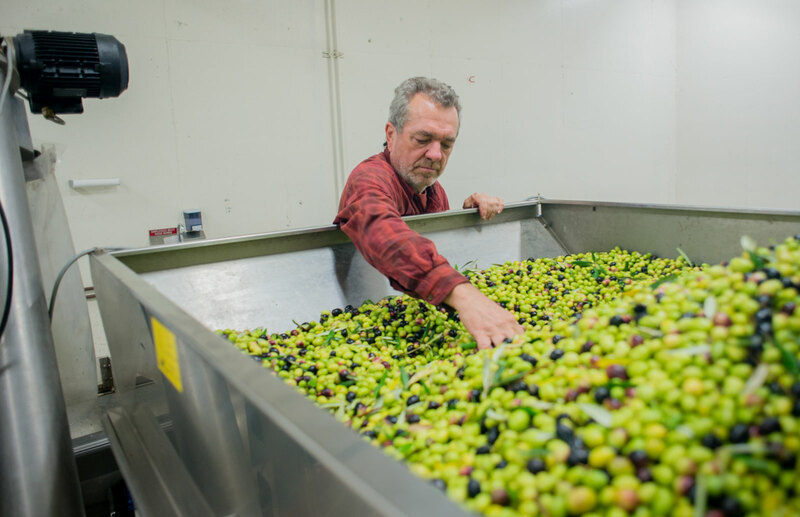 After the Los Angeles International Olive Oil Competition results we reported last month (where the Mistral was judged Best of Class), both the Mistral and Sierra won Gold medals at the California State Fair Olive Oil Competition. Now, we’re eagerly awaiting the results of the New York International Olive Oil Competition, which will come out very soon. As you may realize, our Gold Series mono-varietal oils are really ‘limited release’ specialties – there’s not enough to send to the competitions. You can know though, that we select them as the best-of-the-best we produce. To learn more about these oils and to purchase, visit www.apollooliveoil.com. With the bottling of the new oil, we upgraded the packaging to our elegant new bottle. The opaque label excludes light (preventing rapid photo-oxidation), thereby allowing y ou to keep the bottle handy on your kitchen counter. This 375 ml size is available for $14.95. The new oil is also available now in the 1.32 gallon Salúte box. This spring’s annual event will be the weekend of April 28th-29th, from 12 to 5 pm. Experience 12 boutique wineries nestled in our little stretch of the Sierra foothills between Oroville and Dobbins. Taste small batch artisan wine making at its best. 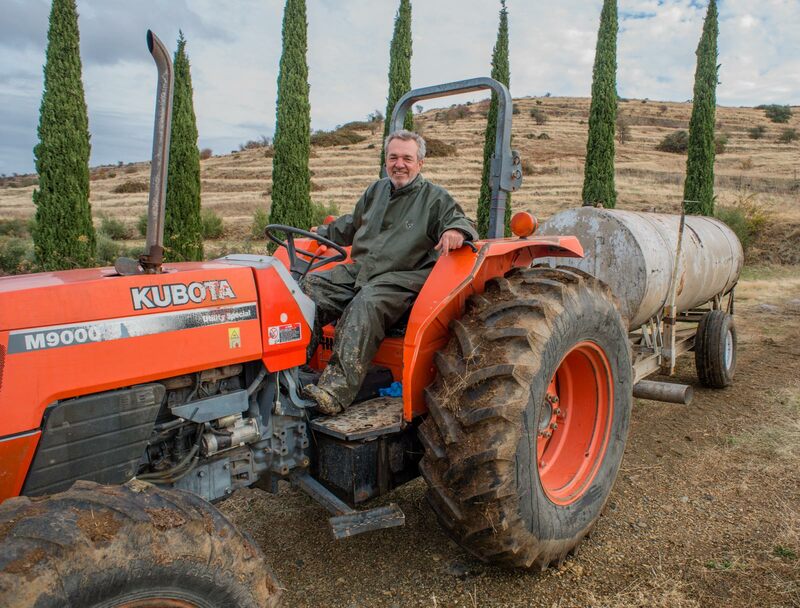 Meet the real owners and wine makers for answers to all your questions. Visit www.northsierrawinetrail.com for more information, tickets, and trail maps. We’ll be there too, with our three local Oregon House wineries, sampling our new oils and sharing our story at the Frenchtown Inn. Tip: You can make a restful mini-vacation for yourselves out of the event by checking out the lovely AirBnBs on the Oregon House/Dobbins end of the trail. Our Mistral has a nice, light intensity, making it deliciously French in style. The Sierra has its usual lively intensity coming from the California mission variety. The Mistral won a Gold medal and Best of Class in the LA International Olive Oil Competition this year. The Sierra won a Silver medal. Our Gold Series offerings are the same as last year: A Tunisian variety, Barouni, two French varieties, Aglandau and Grossane; and an Italian variety, Coratina. All these varieties do very well growing in the Mediterranean style climate of California. We still have last year’s Sierra on sale at $16.95. It is still tasting very fresh while having mellowed a little bit. This year’s Economy offering, Salúte, is not yet ready. We expect it to be available in April. However, last year’s is still in stock which can be purchased on our web site. Olive Oil Times spoke with Italian master chef, Massimiliano Alajmo, often called ‘the Mozart of the stove’ due to his simple yet unique style of cooking where, of course, extra virgin olive figures very predominantly. Alajmo feels olive oil has a lot of innovative potential because it holds aromas better than butter especially when it is combined with water. Consequently he uses olive oil for a lot of his sauces replacing butter and other dairy products like cream. He is able to achieve a creamy consistency without using dairy which makes his sauces and pastries easier to digest. His three choices if he were on a deserted island: olive oil, bread, and wine. “It’s a combination of freshness, the sacred and strength,” he says. We have found that it is much easier to make a roux with extra virgin olive oil than with butter. The flour dissolves much more easily without clumping. Also olive oil has a much higher smoking point than butter so it does not burn or bubble when making the roux. Our 2017 Harvest Is Finished! The spring was wetter than usual last year, and our trees responded with an especially good crop. Harvest is over and the mill equipment is already stored away until next year. We’ve tasted all the daily batches of oil, selected the barrels for the Mistral, Sierra, and Gold Series mono-varietals, blended, and sent the oils out for Extra Virgin certification. Now, we are gearing up for bottling so that the new oils will be ready to ship as soon as possible, early in March. We still have the Mistral, Sierra, and the Coratina from the December 2016 harvest available. They have mellowed just a bit with the same nice spiciness and bitterness from the antioxidants. Since the level of polyphenols is so high to begin with in our oils, they only reduce about 5% a year and continue to protect the oil itself, just like they do for our bodies. 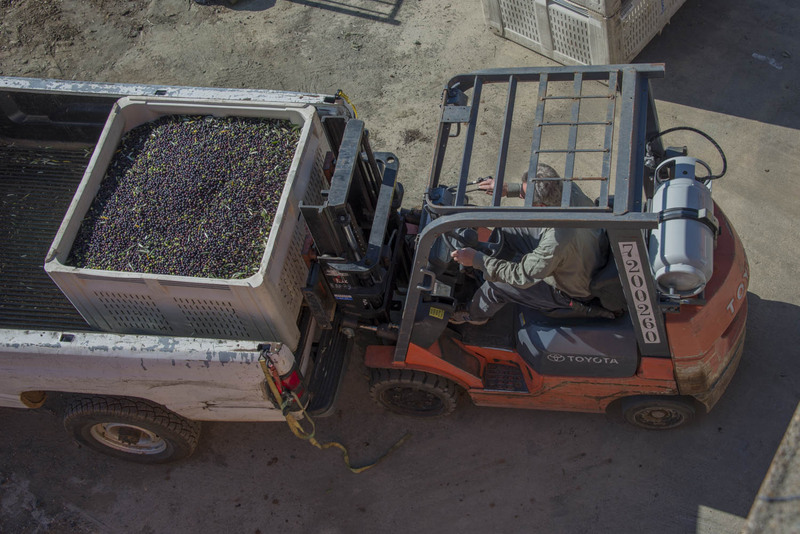 We’re happy to share a few pictures from this year’s harvest, as well as a little video here. Our pleasing amphora-like bottle has served us well for more than a decade. For some time now, we’ve had an eye out for something that would be as beautiful, and yet address a few shortcomings of the shape. You’ll find that our new bottle also has an elegant shape but with better stability, a dripless pour spout under the easy-to-remove cap, and an opaque covering that completely protects the oil from any light. The familiar label design will remain, and because it won’t have to be silk-screened, we’ll be able to release the new vintage oils weeks earlier. We’re delighted to have found a beautiful bottle that looks great and offers all these improvements. We will begin shipping these new bottles very soon, starting with the Mistral and Sierra. Olive oil ice cream, you must be joking! No, we’re not – It’s actually quite common in Italy and, boy, is it yummy. Use a delicate fruity olive oil like the Mistral. The olive oil gives the ice cream a special creaminess. A pinch of salt brings out the flavor (all good dessert makers know you need a little salt), and the pinch of pepper (which looks just like specks of vanilla bean) adds a surprisingly pleasant perk. Top it all off with a little drizzle of Apollo Balsamic Condiment and you’ll have a delicious dessert your friends have probably never tasted before. This recipe makes one quart. With an electric mixer, beat the eggs and sugar together until thick and cream-colored. Lower the mixer speed and slowly drizzle the olive oil into this mixture until no oil droplets remain. When it is fully incorporated, lightly beat in the milk, cream, vanilla, salt, and pepper. Pour the mixture into your ice cream maker and follow its directions. Enjoy immediately for a soft serve experience, or pop it into the freezer for a firmer texture. In either case, don’t forget to dress it up with a little drizzle of Apollo Balsamic Condiment. If there’s any left over, just put it in a lidded container and store in the freezer. Hint: Before closing the lid on your ice cream, lay a sheet of plastic wrap directly onto the ice cream to keep out the air and prevent ice crystals from forming on the surface. You can also use this plastic wrap trick to keep air away from other foods – like guacamole stored in the fridge – greatly reducing oxidation and surface browning. It has been a hot summer here in Northern California. This has caused the development of the olives to be several weeks behind but it looks like we had a good fruit set so we are hopeful for a bountiful harvest this year. Gianni and Diana have been out carefully pruning the trees in the hot sun. This helps even out the yield from year to year, keeps the tree healthy, and aids in preventing disease. They are also out setting the olive fly traps, thankfully, the fly is less of a problem this year than in years past. It is hard work but very rewarding, what more could you ask for?